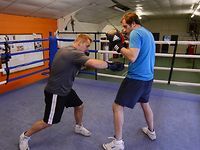 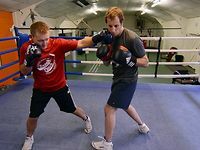 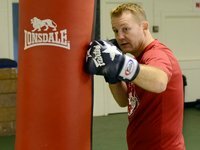 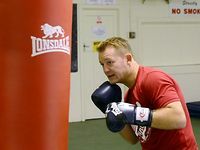 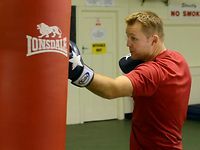 The jab comes straight from you guards lead hand in a straight line and the fist twists so the knuckles are horizontal at the time of impact. 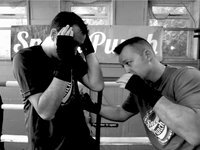 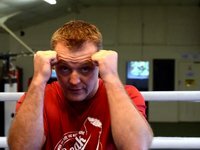 When the jab is thrown keep the chin tucked into your shoulder and keep your rear hand in a fist to your chin. 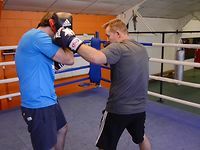 When jabbing make sure you don't over extend your arm as this can damage your elbow, and also throw you off balance and leave you vulnerable for a counter attack.